While visiting the drugstore a few weeks ago, I noticed that the Catrice stand had another Limited Edition Collection out on display. I love the limited editions from Catrice because they are always beautiful, but this time they had me speechless. 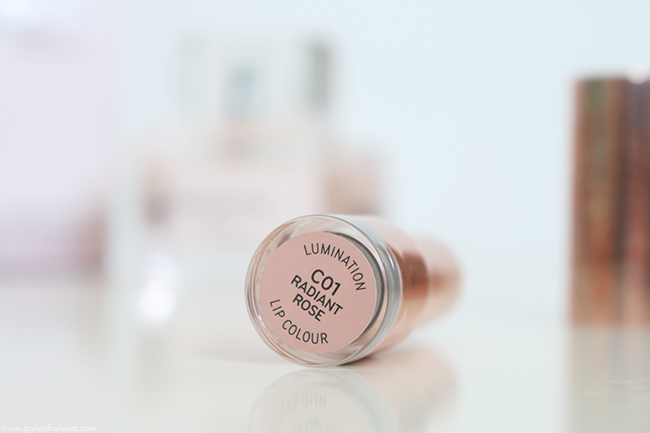 The Lumination Limited Edition Collection is beyond beautiful and very affordable. 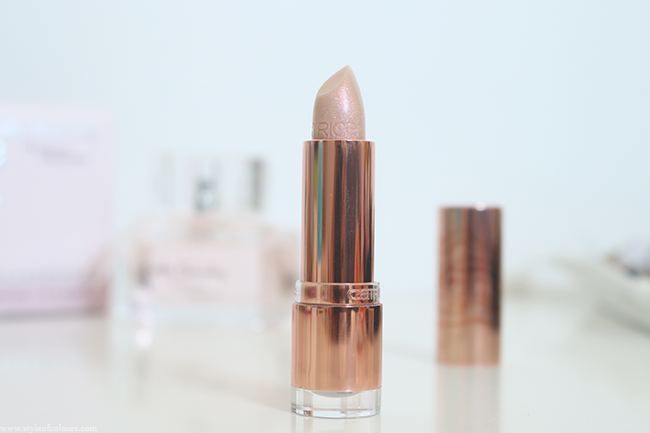 In my latest New In post you can check out what items I picked up, one of which was the Lumination Lipstick in Radiant Rose. It was love at first sight when I saw the gold packaging of the lipstick. The lipstick itself is a clear colour with lots of pink and gold shimmer, sort of like a lipbalm with glitter. 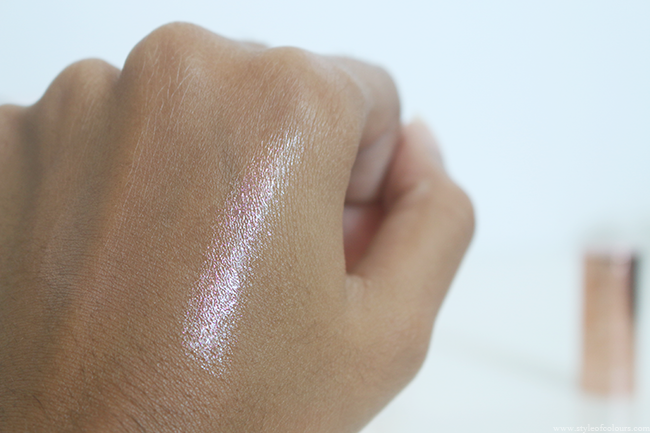 It applies smoothly and is very moisturizing, and can be worn as an everyday shade or for an evening out. I also really like that if you forgot to reapply the lipstick after a meal, it isn't so obvious. I've been wearing it a lot to work topped over my MAC Brave lipstick or just by itself and I have been loving it. If you wear just the lipstick, it doesn't have a long staying power but that doesn't bother me. I am honestly very impressed as I've never owned a lipstick that looks as glamorous as this for the price tag. I can't wait to try it over a dark lip for an evening out. Likes - gorgeous packaging and great shade. Do you have any drugstore lipsticks in gold packaging?